Staff and faculty members from the Samih Darwazah Institute For Pharmaceutical Industries and Birzeit University, led by Acting Director Amin Thawabteh and Chair of the Department of Pharmacy Abdullah Rabba, explored channels of cooperation with General Director of the Ramallah and Al Bireh Health Directorate Wael Sheikh in a visit to the campus on January 29, 2019. 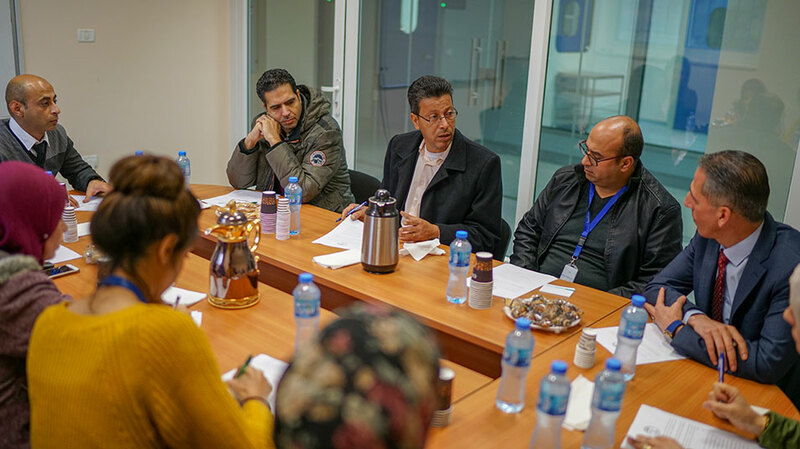 The meeting provided an overview of the Samih Darwaza Institute for Pharmaceutical Industries and the supporting services that it offers to local pharmaceutical companies. During the meeting, the attendees discussed the most important functions of the institute, which develops pharmaceutical products and offers consultancy services for the Palestinian pharmaceutical industry. Additionally, the institute holds training workshops in GMP, ISO, and HACCP systems fields. Hani Shtaya, a professor of pharmacy at Birzeit University, gave Sheikh and the accompanying health directorate team a brief introduction on the Samih Darwazah Institute for Pharmaceutical Industries, detailing the training courses, workshops, and consultancy services that it offers to the Palestinian pharmaceutical industry, as well as its role in training the university’s pharmacy majors. 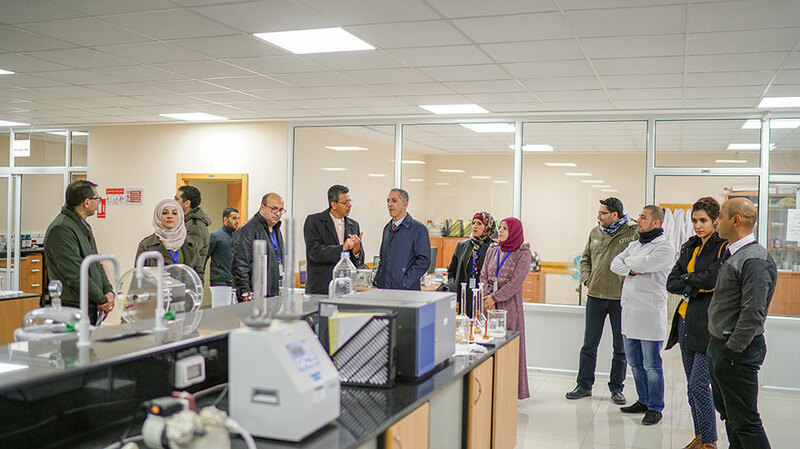 Thawabteh highlighted its renowned staff of academics and chemical and pharmaceutical experts, who combine hands-on experience with scientific knowledge. 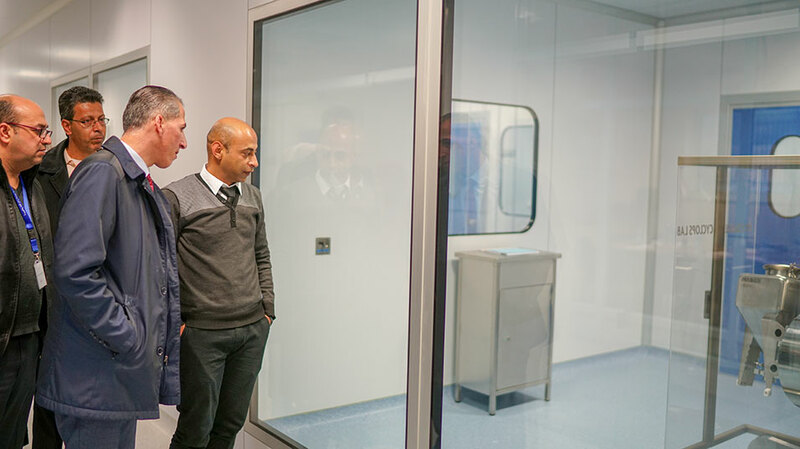 He also emphasized the institute’s unique equipment, which includes a state-of-the-art small-scale pilot production line specifically designed for research and development purposes, in addition to stability test chambers - the only ones of their kind in Palestine. Sheikh said he was proud of the institute’s progress over the years, and called for more cooperation with national, regional, and international partners. 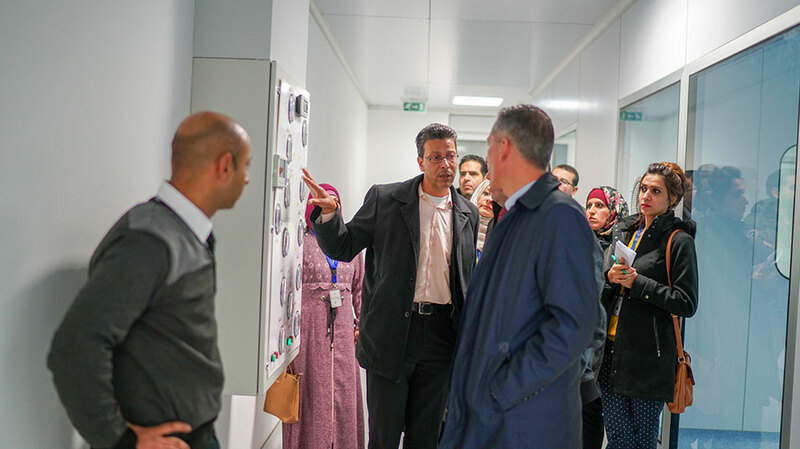 He also stressed the significance of the institute’s cooperation with the Palestinian Ministry of Health, noting that it could offer workshops and training courses for Ramallah’s more than 130 pharmaceutical storage operators.